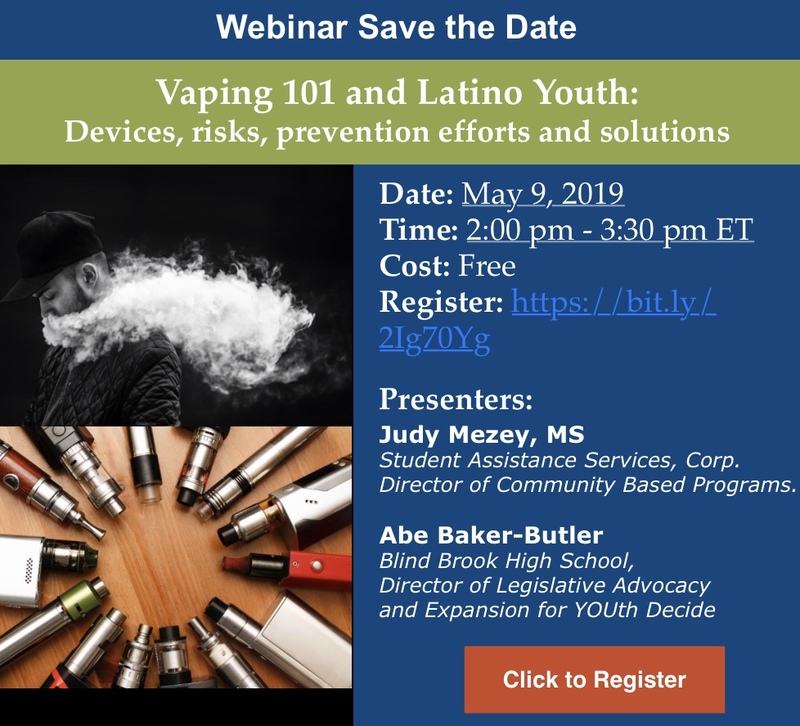 This webinar will provide an overview of youth vaping from what the devices look like, to why vaping is a concern with a specific focus on Latino youth. The webinar begins with a show and tell of commonly used vape products, including the Juul. Sleek, candy flavored, and easily concealed, these devices are the perfect storm for attracting teens. Following the show and tell, participants will learn about the risks of youth vaping; risks like popcorn lung, exploding batteries, and nicotine addiction. Youth are vaping e-juice with flavorings, nicotine, and high potency THC concentrates. This webinar will cover the risks of each of these products. Using data from the Monitoring the Future survey, the webinar will discuss prevalence and trends among Latino Youth. In addition, data from listening sessions conducted with Latino teens and parents in Westchester County, NY will be presented.The webinar will conclude with a discussion of prevention opportunities for parents, professionals, and policy makers. A teen leader will describe his work in vaping prevention such as advocating for laws limiting teen access and educating his peers through an escape the vape activity. 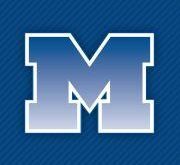 Other prevention options including a Hidden In Plain Sight parent education experience and a community mapping project will be presented.